Holding The High Ground - The Incredible Self-Sacrifice Of "The Demons Of IB Ridge"
On April 30, 1863, the last few remaining members of a French Foreign Legion company besieged in a hamlet charged out in an act of defiance against roughly 2,000 surrounding Mexican soldiers. Though the legionnaires were easily cut down, the Mexican commander, won over by their valor and the heavy casualties they inflicted upon his command declared “These are not men! They are demons!” The deeds of the “Demons of Camerone” have been immortalized in French history, and Camerone Day is celebrated within the ranks of the French Foreign Legion to this day. Nearly 100 years later, Subedar Joginder Singh Sahnan and the few men of his decimated Sikh platoon emulated the same desperate feat against hundreds of Chinese Communist soldiers during the Sino-Indian War of 1962. 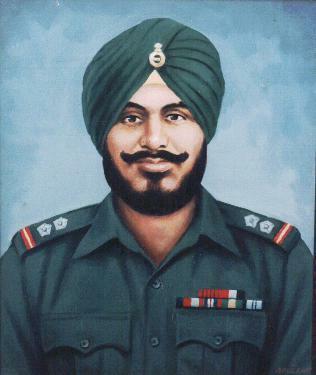 For his actions, Joginder posthumously received the Param Vir Chakra, the equivalent of the Medal of Honor and the Victoria Cross – only twenty-one individuals have been awarded India’s highest honor. The Sino-Indian War was a debacle from the beginning. Tension and scuffles along the Indian-Chinese border led to the outbreak of war in October of 1962. The Indian Army was ill-prepared for a conflict with the Chinese. Most of their soldiers carried outdated firearms from WWII and were not supplied with the appropriate uniforms for the winter climate on the Himalayan border. Opposing them were better armed, trained and more numerous Chinese soldiers. The war ended with China as the victor and India humiliated, but the actions of some individual officers and soldiers of the Indian Army have become legendary. The Chinese detached a column to capture Tawang in October of 1962 after they had virtually annihilated the 7th Indian Infantry Brigade despite their heroic defense at Namka Chu. Joginder Singh and his twenty-nine men of No. 11 Platoon from the 1 Sikh Battalion were stationed directly in the path of their advance. The platoon occupied a strong position known as IB Ridge near the Bumla Pass providing “an excellent tactical situation.” The day before the battle, Joginder could observe thousands of Chinese soldiers gathering to launch an assault across the river. He made a “macabre pact with his platoon for the supreme sacrificial bid and glory” aware of the bleak probability of success. On October 23, 1962 at 5:30 a.m., the Chinese launched their assault on IB Ridge. The assault came in three waves, composed of around 600 men in total, seven times the Sikh platoon’s number. 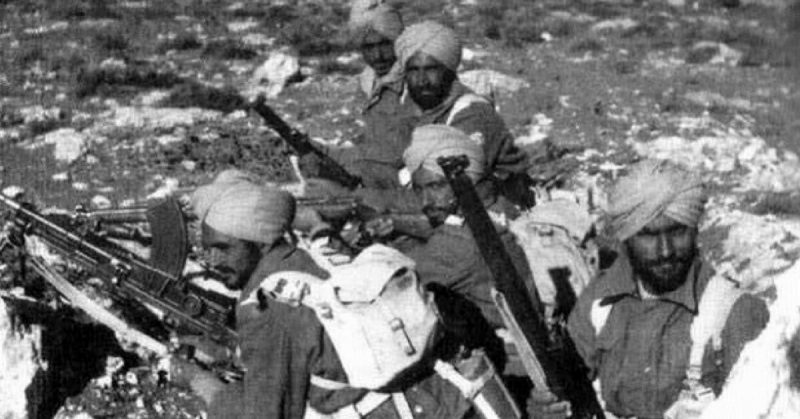 Joginder and his Sikhs “afire with valor” decimated the first wave with their well-directed gunfire from their Lee-Enfield rifles and the aid of the steep ridge. Badly shaken, the Chinese fell back and prepared to send the second wave to drive the Sikhs from their defensive position. The second assault took place a half hour later on the right flank. Joginder’s platoon suffered severe casualties but beat it back. Half of the platoon were killed or wounded, and Joginder received a wound in the thigh when he leapt out his command post to direct fire. He refused to be evacuated from the field, continuing to inspire his men with his noble conduct. He sent a message to his company commander affirming that he and his men would die fighting to the last man, authorizing him to go “red over red” – allowing friendly artillery fire to reign down upon their own position. The final Chinese wave rushed forward to capture the ridge and finish off the last dozen or so defenders. Joginder pulled his wounded body over to a light-machine gun, mounted it, and unleashed hell upon the Chinese infantrymen, but could not stop them from flooding into his position. They slashed left and right with their bayonets, catching many Chinese soldiers off guard and skewering them with their cold steel, but eventually the frenzied Sikhs were cut down to a man in this Camarone-styled counterattack. Joginder, weak from loss of blood, was overpowered by numerous Chinese soldiers but struggled to the last. He was captured by the Chinese and treated with dignity. His leg was amputated due to his wounds and he shortly after succumbed to his injuries. The Chinese overheard radio communications stating that he was to be awarded the PVC by his government, and in a show of respect, returned his ashes to his battalion in May of 1963. His PVC citation praised his “devotion to duty, inspiring leadership and bravery of the highest order” during the clash at IB Ridge. His ashes were brought to the Sikh Regimental Centre at Meerut and a monument was constructed to his memory on the ridge, perpetually commemorating the hero of India’s Camerone. Cardozo, Ian Major General. Param Vir: Our Heroes in Battle. New Delhi: Roli Books, 2003. Dabas, Maninder. “The Story of Subedar Joginder Singh – Who Crushed Waves Of Chinese Attacks At Bum La In Tawang In 1962.” Indiatimes.com (August 2016), http://www.indiatimes.com/news/the-story-of-subedar-joginder-singh-who-crushed-waves-of-chinese-attacks-at-bum-la-in-tawang-in-1962_-260151.html. Kler, Gurdip Singh Lieutenant Colonel. Unsung Battles of 1962. London: Spantech & Lancer, 1995. Rawat, Rachna Bisht. 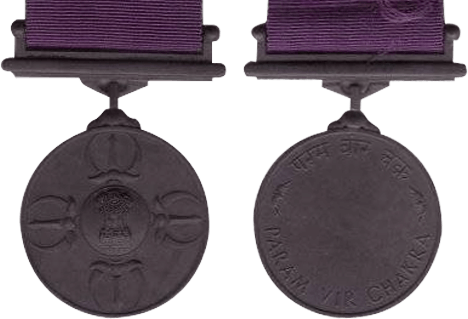 The Brave: Param Vir Chakra Stories. London: Penguin Books, 2014. Verma, Shiv Kunal. 1962: The War That Wasn’t. New Delhi: Aleph Book Company, 2016.